What is the right technique for you? I recently had a boy visit from Asia for a month. His style was much different to most kids in North America. He told me that most kids where he's from are not very big, they are quick and are taught to focus on precision versus power. They hit every shot with a lot of slice. Over here in North America I always hear about the importance of hitting the ball harder and taking the ball early and I see many kids never hit any shot other than the serve over the service line. Basically, like most popular professional sports here in North America we think those that are bigger, stronger and faster are the best athletes and this is how we can be succesful. Of course as this boy demonstrated there are exceptions, those with superb skill. It's a bit of the David vs. Goliath story revisited once again. As a kid who was quite small for my age, I know how difficult it can be to compete against people that hit it hard and take up a lot of space. 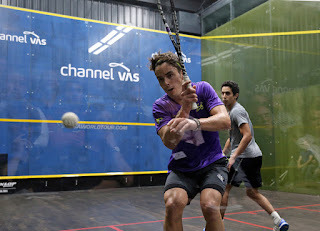 It's still challenging, but with practice and improved tactics and accuracy you can learn how to take down someone of any stature; that's one of the great things about squash. I still vividly recall the toughest match I've ever had to play was against a boy who won the CSA individuals and he hit the ball so hard it was insane. The ball was like a racquet ball and it felt as if I'd never played squash before. Since that match I've spent a lot of time solo hitting and learning to not only handle that pace, but also be able to inject that same amount of pace. It was a terrific example of how much pace can change the game and if you can't handle it shot selection is pretty insignificant. Looking back now though, I also think that at that pace we should have been using a lower tin or a slower ball. Anyways, let's move on. 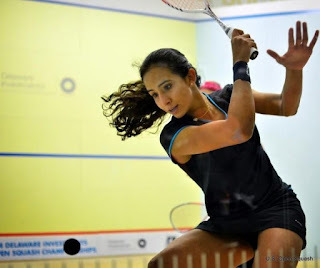 The main topic of today's post is deciding on which style of squash suits you best? Do you have below average size, speed or power? If so you will probably have to be very accurate, slow the speed of the game down and be quite smart. If you try and play pace with someone who does it better you you will have limited success. The trouble most kids get into is they focus so much on overpowering their opponents that they get away with poor accuracy and shot selections (at least for the time being). Eventually these kids will come up against people that can handle this power or can even outhit them. So although pace and taking the ball early can take you quite far, it is still pretty 1 dimensional in my opinion and it does not automatically translate to success. So even if you hit it harder than your opponent, if you're opponent can handle this pace and defend it well they can wait until you kind of punch yourself out and go on counter attacks using your poor accuracy against you. So does this mean it's better to be accurate than have raw power? Not necessarily. Obviously both qualities are important, but good shot selection and accuracy is something that you absolutely must have to compete at the highest level. Speed and strength can get you close, but that is not enough at the top of the game. Although I love playing at a high pace it probably doesn't best suit my stature. I've already trained and practiced for 20+ years and my style isn't going to change much now, but it's interesting to wonder if I would have been better if I grew up in Asia and learned to focus more on shot selection and accuracy? It's impossible to know for sure. But when I was on court with this boy who visited the difference in styles and the amount of tension and effort going into my swing was significantly higher. All in all it just gave me a new appreciation for this style of game. Nouran Gohar - 1 of the hardest hitters on tour and is about to unleash some major force with this backhand! I could probably use more accuracy in my game and he could probably use more power in his game. Once I can't overpower someone like this I feel like they would be more efficient with their movement and shot placement and I would wear myself down. 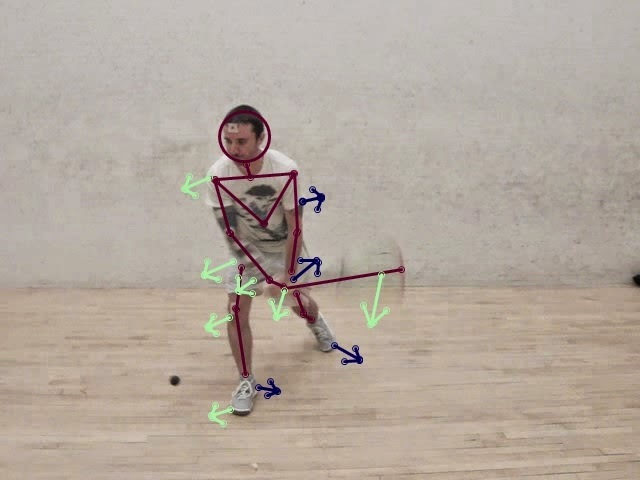 This is the fun part of squash. There is no 1 right way to play and be successful. It's easy to say hit it harder and be more accurate, but which style suits your physical traits is specific to you. Just be cautious that if you are winning by overpowering other kids, this will change when you get older and you will have to learn how to play smarter and more accurate. If you are a powerful player you will have to learn how to take shorter swing and maintain your balance and technique while under pressure. Most powerful hitters also tend to crosscourt a lot because it's difficult to be accurate with the amount of rotation happening and the length of their swing means their timing will not be as accurate as it would if they had a shorter swing. Determining how much to shorten your swing and how much to give up on power to improve your accuracy is a thing we must all learn for ourselves While if you are more of a precision player, you will also need to learn how to handle this power and eventually play with more pace in your game, but without compromising your technique or getting into a slugfest with your 1-dimensional hard hitting opponents. Remember there is a speed/accuracy trade-off in all sports. I remember having a discussion in 1 of my university classes about what skill you'd rather posses first, accuracy or power/pace? The class and instructor both thought pace because accuracy would eventually come with repetition. But in squash I don't know if this is 100% true. If you are overhitting the ball all of the time and never learn to take the pace off the ball how are you ever going to develop a short game and have the confidence to play it against top players when you've fallen into a habit of getting a loose ball and smacking it every time as hard as possible? Some food for thought. Do you agree or disagree? Are you precision or power player? Which style do you enjoy playing against and dislike playing against? Can the top players at your club do both? You'll notice on the PSA that almost all of them could outhit any amateur, but that doesn't get the job done against the best in the world. They've got to have a lot more than pure power. But it is a lot of fun hitting the ball hard isn't it? Check out my Youtube channel (cchsquashpro) if you want to see some videos on solo hitting drills to improve both your power and accuracy. 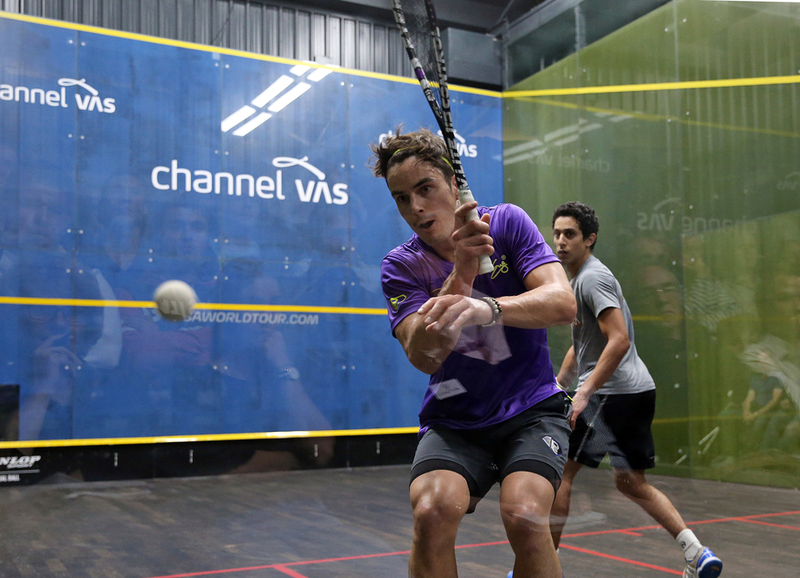 Also follow Serious Squash on Instagram and Facebook for the daily updates. SeriousSquashShop.com is where you can find Serious Squas merch. I do not agree with you on the height of the of the player as the legend Jan Sher Khan was not small and yet he was one of the most award winners of the squash world. The great players are the result of persistency and the pains they bear while immense training and with the help of Physiotherapy North Ryde who is there always to help the players gain their momentum in a more effective way.